I’m not a stranger to the country, but I sure as heck had no idea what I was entirely in for when we moved out of city limits. I grew up in a small rural community about 20 miles east of Madison. For a small town, Waterloo has some pretty well-known businesses – namely Trek Bikes and Van Holten’s Pickles. Now, I know you’ve heard of Trek Bikes (thanks Lance Armstrong! ), but have you heard of Van Holten’s Pickles? Pickles in a Pouch?! You’ve probably seen them at convenience stores or grocery stores in the “grab and go” section. Anyway, those are our two big “claims to fame” in Waterloo. Where was I… yes, small rural community. 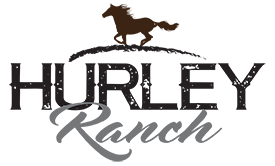 We moved to Evansville is 2011 because of the small-town charm, affordable housing market and the great school district. 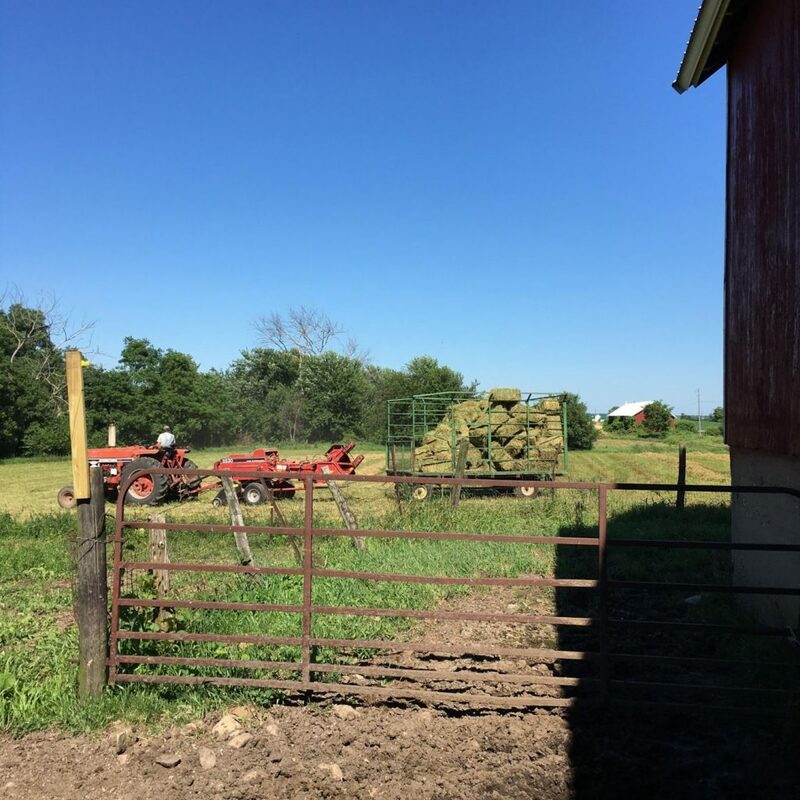 Fast forward to 2017 and we came upon a beautiful piece of property between Evansville and Edgerton ready for a hardworking family to take over. Dark and quiet. I’ll admit those first few nights were eerily quiet (and dark). Did I mention it was dark? More than a year later, I welcome that peace and revel in it. You can’t do chores in flip flops. At our last house in the city, I could wander barefoot or in flip flops and water the garden, pull weeds, whatever I wanted to. At the farm, wandering barefoot with free range chickens… walk at your own risk. I now own slip on boots, steel toe tall boots, rainboots and about a half dozen pairs of old tennis shoes (much to my husband’s chagrin). Nobody gives a you know what that I’m feeding my chickens in pajamas and rubber boots. 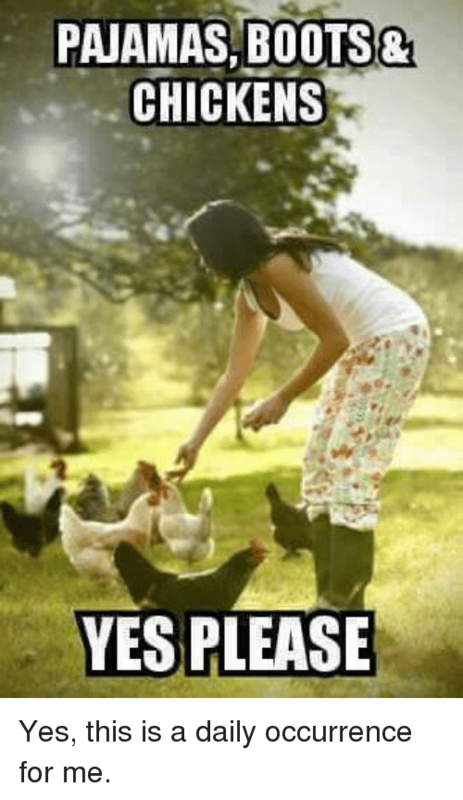 Especially not the chickens, they love me regardless of what I’m wearing. Let’s digress a second for a short rendition of “What is she wearing? !” I feel like I hit a new extreme with what I wore outside last week. I could see out the kitchen window that JJ (one of the female barn cats that is named after JJ Watt) was eating something from the burn pile (super gross). So out I went to check on what she could be munching on wearing my long underwear bottoms, high school track sweatshirt and my rubber boots. Yep, my long underwear bottoms. Who have I become?! The country is full of friendly people. Whether you’re sitting on the front porch or mowing lawn, the passersby are ready with a friendly wave. Do I know these people? Usually not. And this is my usual reply. After nearly 18 months in the country, I couldn’t imagine moving back to town. I have completely embraced this new lifestyle – it is hard work, but it suits us. We’re home.